The Police Service of Northern Ireland replaced the Royal Ulster Constabulary after the Good Friday Agreement. 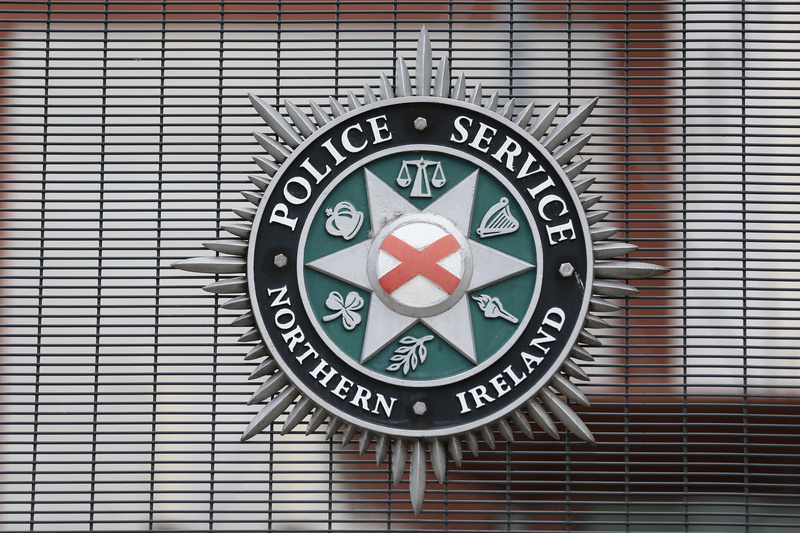 FOR those engaged in the negotiations leading up to the Good Friday Agreement, the future of policing was a central, but seemingly intractable problem. Now 20 years post Good Friday, have we seen the new beginning to policing which was promised? Let’s start with some basics. There is a new name - ‘the Police Service of Northern Ireland’ and a new crest representing the symbols of the past and the present. Catholics now make up 31.5% of the total number of officers (although only around 19% of police staff), and there is a new, representative Policing Board to hold the Chief Constable to account. Indeed, the PSNI are the most accountable police service in the European Union and the Policing Board is the most powerful independent policing authority. In general, public satisfaction in policing is high - with around three quarters of those recently surveyed believing the police were doing a good job. So far, so good. But despite the progress made and the undoubted organisational effort which has gone into change, some issues - internal and external - mean that it is hard to attest that the policing ambitions of Good Friday have been realised in their entirety. While Catholic officers have eagerly entered the organisation, there is a lingering concern around their promotion through the ranks. It is fair to say that a transformation in organisational culture - always the most difficult part of any change process - is not yet complete. This is still an organisation coming to terms with its history and its place in a post conflict environment. A clear, considered esprit de corps based around a new identity, and a new set of values is not yet evident internally. And there are as well, the horrors which should have been behind us. The murder of officers Stephen Carroll and Ronan Kerr and the life-changing injuries of others targeted by so called dissidents are a devastating reminder of the persistent threat of violent republicanism. The recent devastating interview with Peadar Heffron - a former PSNI GAA team captain and Catholic officer horrifically maimed in a dissident attack should give everyone with an interest in the future of Northern Ireland and its police service pause for thought. 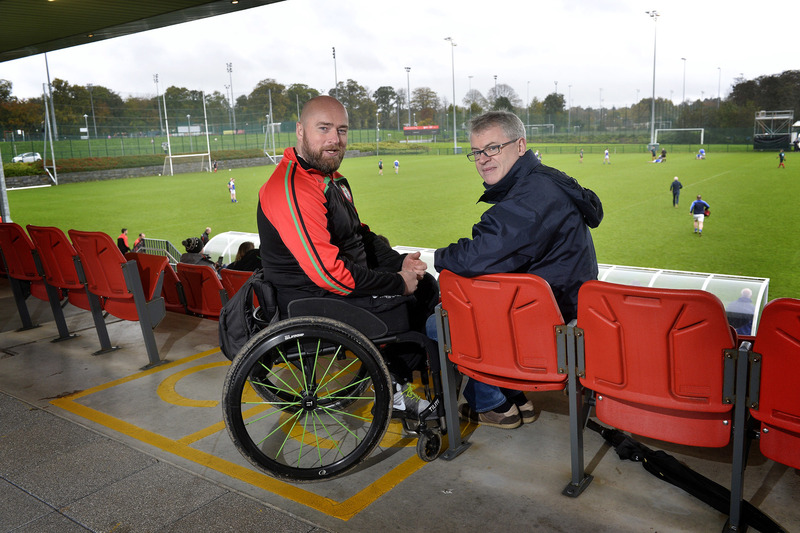 Former police officer Peadar Heffron and GAA pundit Joe Brolly. Externally, the political, financial and cultural environment remains volatile. The PSNI will continue to face challenges over the next period. Budgets continue to be cut, and the ‘mission creep’ which saw police representatives get involved in many initiatives will almost certainly have to be restrained. This is an issue for the police and for communities who have come to rely on both their presence and their input into complex community problems. The most challenging difficulty externally is the euphemistically termed ‘dealing with the past’. There is an organisational legacy to conflict, just as there is a political one. The PSNI has still to grasp this nettle fully - both in terms of its own role and the role of others. The PSNI is a relatively new organisation. As such, it has to deal with the past, manage the challenges of the present and look to the future simultaneously. The current Chief Constable is the first with a background in the old RUC since Sir Ronnie Flanagan. George Hamilton has a tough job and can seem visibly (and understandably) frustrated by the difficulties he and his officers face. As the organisation moves towards the anniversary that resulted in its creation it might be valuable for it to revisit the original aim of a new beginning to policing and a police service capable of attracting and sustaining support from the Northern Ireland community as a whole. One thing, though, is important to remember: it took Northern Ireland’s political institutions a long time to establish after the Good Friday Agreement. During this period the policing change process was operating in earnest. For a while it was the only area in which institutions functioned and the Policing Board is the only institution which has never ceased to function. Policing set the pace while the political system stalled. Last year PSNI officers walked the streets of Belfast for gay pride accompanied by their Garda colleagues. These strides forward are still evident even if the journey is not ended. As Yeats reminds us ‘peace comes dropping slow’. Dr Joanne Murphy is a Lecturer in Organisational Change in the Management School, Queen’s University Belfast, and a Fellow of the Senator George J Mitchell Institute for Global Peace, Security and Justice.